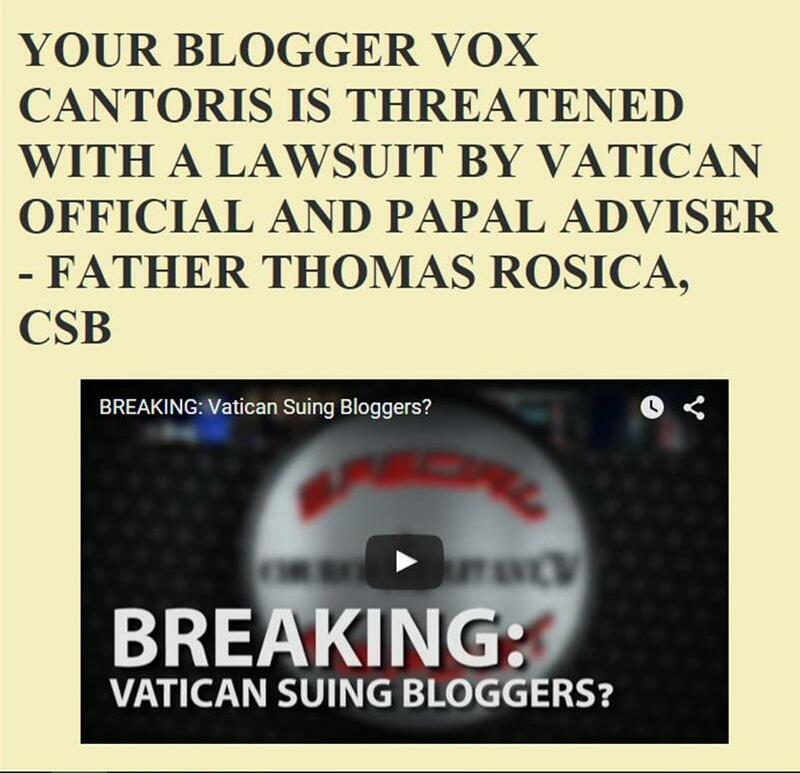 Vox Cantoris: Judas Iscariot of whom Our Lord said, "woe to that man by whom the Son of man shall be betrayed" was really just a "poor repentant man" according to Francis! Judas Iscariot of whom Our Lord said, "woe to that man by whom the Son of man shall be betrayed" was really just a "poor repentant man" according to Francis! Perhaps the Bishop of Rome is getting a hint at the blowback due to his exhortation and getting angry. In this morning's homily, (non magisterial or infallible teaching) he condemned (though not presumably forever) the "doctors of the letter" who were so mean to Judas Iscariot when he came to "repent." If Judas truly "repented" he would have ran to Calvary and thrown himself at the foot of the Cross of Christ. Our Lord would have looked down upon him from that "noble tree" and forgiven him. Judas would have embraced "mercy." Instead, he did not repent, but he despaired in his evil act and took his own life. He could have been Saint Judas the Repentant, instead, "it were better for him if he were not born." Francis though, thinks Judas was just a "poor repentant man." “Mi fa male quando leggo quel passo piccolo del Vangelo di Matteo, quando Giuda pentito va dai sacerdoti e dice ‘Ho peccato’ e vuol dare… e dà le monete. ‘Che ci importa! - dicono loro, così - Te la vedrai tu!’. Un cuore chiuso davanti a questo povero uomo pentito che non sapeva cosa fare. ‘Te la vedrai tu’. E andò ad impiccarsi. E cosa fanno loro, quando Giuda se ne va ad impiccarsi? Parlano e dicono ‘Ma, povero uomo’? No! Subito le monete: ‘Queste monete sono a prezzo di sangue, non possono entrare nel tempio’ … la regola tale, tale, tale, tale… I dottori della lettera!”. "It hurts when I read that passage smaller than the Gospel of Matthew, when Judas repented goes by the priests and says, 'I have sinned' and wants to give ... and gives the coins. 'Who cares! - They say, so - You will see it yourself! '. A closed heart before this poor repentant man who did not know what to do. 'You will see her you'. And he went and hanged himself. And what they do, when Judas goes away and hanged himself? They speak and say 'But, poor man'? No! Immediately coins: 'These coins are the price of blood, they cannot enter the temple' ... the rule that, this, this, this ... The doctors of the letter. " Labels: Pope Francis, You just can't make this stuff up! Yes! Many didn't notice this against the background of that bitter homily where he lashed out at his critics. But the Judas thing is bizarre. Among other things, the Jewish high priests had no power to forgive (one of their reasons for condemning Jesus was attacking Him for saying He had that power) and surely Judas didn't believe that they did. But Francis is all but blaming the death of Judas on the Jewish high priests refusing to accept Judas' confession! This is monumentally twisted. So, people say that the Catholic Church blames the Jews for the death of Jesus. But Francis blames the Jews for the death of Judas! To repeat, this is twisted. My what a scandalous dig at those who are upholding doctrine! I think you may be missing the bigger picture here. Lets all pray for this moment to turn out different than the gospel account. He extols Judas. "Poor innocent Judas". If someone has an English translation, put on your seat belts. First he wants to canonize Luther, now he's flirting with Judas. I forget where I read this, but someone wrote that St. Peter had supernatural repentance (he was sorry for having offended God. Judas Iscariot, on the other hand, bad natural repentance. O the misery of Judas! O Lord. keep our souls from falling like him. According to some mystics ,Judas was the only Apostle who was educated in the Temple ,one of the reasons why they approached him ,and not any of the others which if true would make him the theologian of the group. "Today, concluding our walk through the portrait gallery of the Apostles called directly by Jesus during his earthly life, we cannot fail to mention the one who has always been named last in the list of the Twelve: Judas Iscariot. We want to associate him with the person who is later elected to substitute him, Matthias. "The mystery of the choice remains, all the more since Jesus pronounces a very severe judgement on him: "Woe to that man by whom the Son of man is betrayed!". "What is more, it darkens the mystery around his eternal fate, knowing that Judas "repented and brought back the 30 pieces of silver to the chief priests and the elders, saying, "I have sinned in betraying innocent blood'". "Even though he went to hang himself, it is not up to us to judge his gesture, substituting ourselves for the infinitely merciful and just God." 950. Are Judas and Adam in hell? "It has never been revealed that any particular soul is in hell. However, even of Judas, no man has absolute certainty. The question can be solved only by God." What Pope Francis said of Judas is not at all new or radical. Going back to such Church Fathers as Origen, there was debate over Judas' fate. Anyway, Pope Francis has spoken several times of Judas. 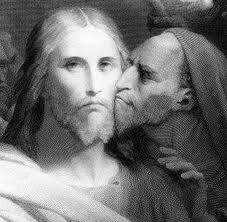 What he said of Judas is very much in line with what many Catholics have noted about Judas. “Jesus prays, Jesus calls, Jesus chooses, Jesus sends his disciples out, Jesus heals the crowd. Inside this temple, this Jesus who is the corner stone does all this work: it is He who conducts the Church. As St Paul says, this Church is built on the foundations of the Apostles; he chose twelve of them. All of them sinners. The second-to-last sentence of the old pre-Vatican II Catholic Encyclopedia says of Judas that "the Sacred Text does not distinctly reject the possibility of real repentance". Page 186 of Pope Saint John Paul II's Crossing the Threshold of Hope noted that we can not be certain of Judas' fate. By the way, it's important to understand the context of Pope Francis' use of "poor man" when he discussed Judas. Pope Francis' point is that Judas was a "poor man" for having closed himself love and, therefore, had become a traitor. That is the context of Pope Francis' remark in question. Let us be fair to what Pope Francis said...not read something else into his comment. Now, whether Judas is in Hell is an open question. Again, Pope Francis has not said anything about Judas that wasn't said centuries ago. Pius XII forbade all Catholics, even future Popes, from interpreting Sacred Scripture in a manner inconsistent with the common opinion of Church Fathers. But the common opinion of Church Fathers is that Judas Iscariot DID NOT REPENT and WAS AND IS DAMNED IN HELL. So it does not matter what anyone else said, Francis or JP2, the latter of which was manifestly heterodox for openly saying that he did not know whether anyone was in Hell, thus denying the teaching of Our Lord and the Apostles and Evangelists, that Judas was damned. Mark Thomas: "poor man" is not the main problem here. Francis declares Iudas Kerioth the have repented. Rememmebr, the victim is not Iudas, not the sanhedrin, but our Lord Jesus Christ. The Betrayer is Iudas, the betrayed, Our Lord Jesus Christ. The magisterium of the Church for 1965 years has said Iudas did not repent. Remorse and repentance are two VERY DIFFERENT THINGS. What Pope Francis said of Judas is not at all new or radical. Going back to such Church Fathers as Origen, there was debate over Judas' fate. What he said of Judas is very much in line with what many Catholics have noted about Judas. In the Byzantine Rite (Ruthenian), Judas gets mentioned quite often during Great Lent (and in fact every Sunday). During the Liturgy of the Presanctified, we sing that Judas is lost forever. I assume you're not accusing the Church of promulgating errors in Her liturgy. Judas would betray Him for the price of silver and be lost forever, lost forever. I am just wondering.......if Judas HAD REALLY REPENTED, would he not have gone to the Savior, come what may to ask and beg forgiveness, standing at the foot of the cross?? Instead of HANGING HIMSELF IN DESPAIR?? If Judas had really believed that Jesus was who He said He was, as terrible as the sin was, would Judas not have trusted Our Lord to forgive him? Just a thought. Paul Morphy : "it were better for him (Iscariot) if he were not born"
These are the words of Jesus Christ, the All Merciful. Can we really think, or assume, that Iscariot repented. I don't think so unless we're intent on doubting the words of Jesus Christ. Anon. 6.44pm: "...unless we're intent on doubting the words of Jesus Christ." It seems to be in vogue. The Son of man indeed goeth, as it is written of him: but woe to that man by whom the Son of man shall be betrayed: it were better for him, if that man had not been born." " Jesus replied to them, Did I not choose the twelve of you, and behold one of you is a devil" (John 6:70) "Those whom thou gavest me have I kept: and none of them is lost, but the son of perdition: that the scripture may be fulfilled." --Jesus Christ (John 17:12).I think we can take Christ's Word for the the fate of Judas.The Apostles bar John fled ,human weakness foretold by Jesus.There is a difference between weakness and malice. We're these Doctors of the Law not Jews who themselves rejected not only Judas but Christ? Is not the lesson aimed at the hard hearted Jew not the Doctors of Holy Mother Church. Yes if course some died and were accused wrongly by Church leaders and some even (like St. Joan) became Saints. The Church did admit wrong but if one looks at the case of Joan it was more the fear of political change then a religious persecution. I am not sure if the Pope points at those holding to the Dogmatic letters or those who defy Church teaching to appear charitable. Confusing sermon ar best. We know we cannot be Pharasees in judgment as Christ taught. But someone must protect doctrine and teaching. I expect the Holy Father to do so. Does anyone else get the feeling this man Bergoglio is now just flaunting his radical anti-Christianity? Since he misquoted Jesus in para 161 of Evagelii Gaudium, placing Man before God, I can't stop thinking about the Man of Lawlessness from 2 Thessalonians.